This comprehensive classroom training course helps you master WordPress Training with Theme Customization quickly in 5days… Learn Complete WordPress from Basics in 3days… and Theme Customization in 2days… with most POPULAR WordPress Training in Hyderabad. WordPress is a content management system that powers most of the popular websites on the web. It allows you to easily customize the look and feel of your website with themes, extend the functionality with plugins. You can easily edit your content in Pages or Posts by just logging in and using their intuitive interface. You can add more content to your website or edit existing websites. This wordpress training with theme customization gives you everything you need to plan, build and launch your own wordpress website. It will cover each aspect of website building, including plugins, widgets, contact form, galleries and theme customization to create your website. This course is delivered via step by step instructions, in which you go through each stage of launching your website for making it easier to those new at learning wordpress. This training gives you full confidence in creating your website like a Professional Web Designer. You not only learn the basics, you are designing a website and then customizing the theme to your requirement. Using a theme and some easy-to-configure plugins, you can create a fully functional real website. 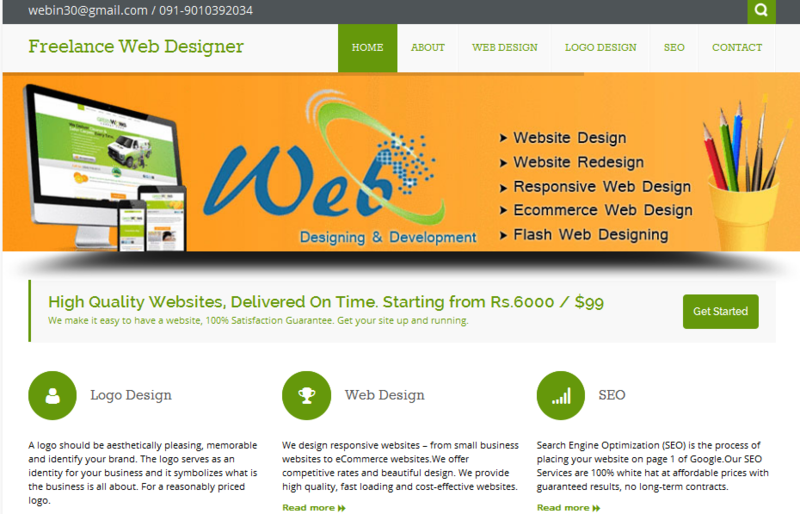 After creating your website, you can customize the website to your requirement. You can enhance the look and feel of your website step by step with this training. Learn how to use WordPress for website design. Learn how to use WordPress to create a website, including themes, Plugins, Widgets, Posts, Pages, Media, Backup and uploading website to your web host. Feel FREE to call me at any time on 091-9010392034 or mail to me by clicking the below link.